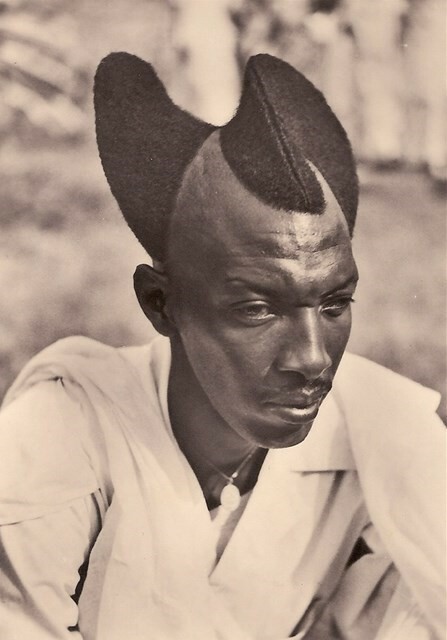 This amasunzu hairstyle, is indisputably one of the most incredible haircuts we’ve ever seen. 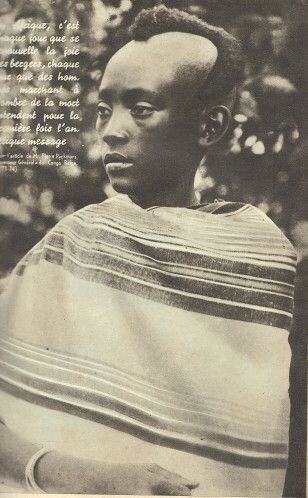 While the photo was taken in 1923, amasunzu is still worn today by young Rwandans, and not just because it looks like good – it’s also a sign of cultural pride and has a long lineage of significance that can be traced back for generations. Chosen for AnOther Loves by this week’s winner, contributor Dal Chodha, this photo gives a rare glimpse into an ancient rite of passage that still matters to contemporary Rwandans. Over 30 different forms of amasunzu were worn by both men and women and often symbolized their different roles and status in the community. Common among warriors, amasunzu would show one’s power, bravery and nobility, as well as prestige. 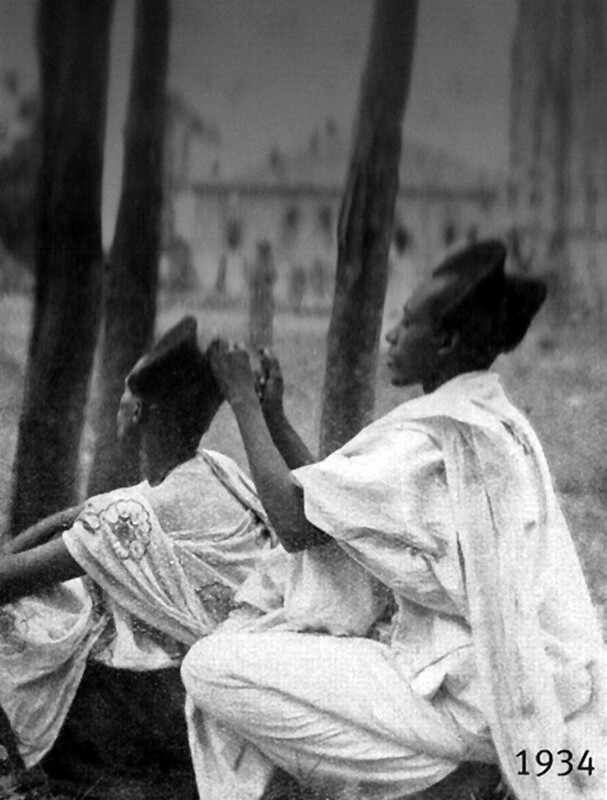 When worn by women, amasunzu was intrinsically linked to marital status and virginity, and was only worn by teenage girls until they were married – afterwards, women would opt to grow their hair out freely, a style called uruhanika. 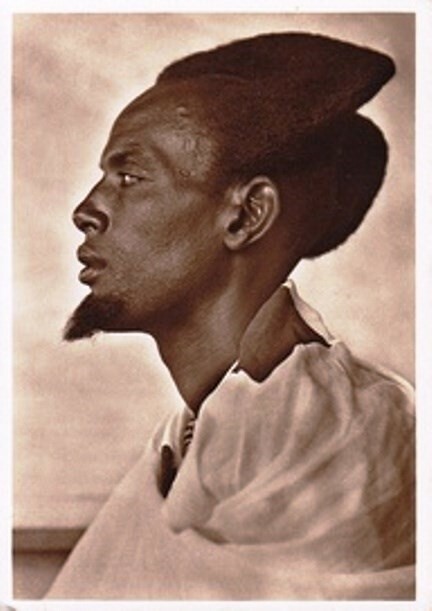 Achieved through a careful ritual that involved cutting the hair at the sides, and then allowing it to grow towards the middle, amasunzu was definitely a labour of love. Children would look forward being old enough to take on the hairstyle, and villages would even have competitions on the best designs. 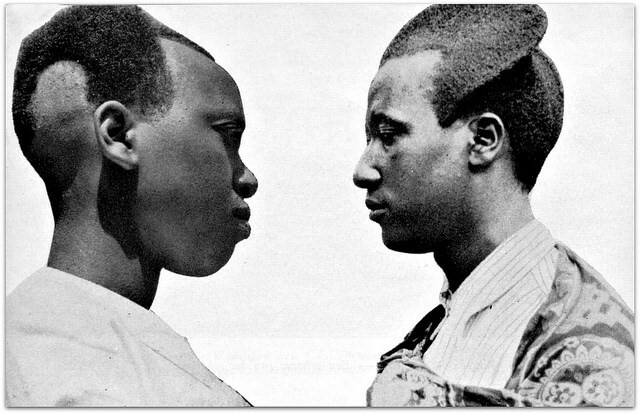 Today, growing your hair into the amasunzu style is a gesture of pride, and for the young men who do so, it’s a form of self-realisation. Whether your hair is bleached or highlighted, undercut or grown long, hair is as much a form of self-representation, as a continually evolving territory of meaning - and what it means to you, might translate to something completely different to someone else. To find out more we spoke with Dal Chodha, our AnOther Lover of the week, who chatted with us about the beautiful modernism of the amasunzu hairstyle, why he never trusts his friends to cut his hair, and why photos like this need to be seen. 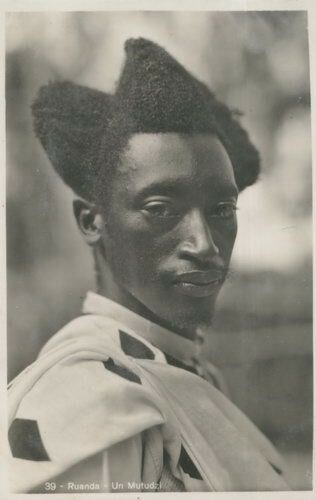 Why did you love this photo of the Rwandan man with his Amasunzu hairstyle? I was really taken by the hairstyle’s graphic silhouette – it looks utterly modern and reminded me of the lines of a sports car. It has great symbolism and terrific style. Photos like this need to be seen. They are incredibly powerful. I would hang this on the wall next to great examples of modernist architecture, drawing a parallel with their angular lines; a post card of Elsa Schipaparelli's shoe hat of 1937 that she made in collaboration with Salvador Dali; and, torn out of my copy of this month’s French Vogue, Alasdair McLellan’s portrait of Grace Bol wearing the most exquisite diamonds and emeralds! “Diversity” is a word we hear echoed time and time again but I really think that if magazines aren’t representing the type of beauty you want to see, then you should look somewhere else. What’s the best hairstyle you’ve ever had… or the worst? I don’t have any problems in this department as I am now bald. But when I did have something to play with, a friend of mine used to cut my hair in the disabled toilet of our halls of residence. I used to give her carte blanche to do whatever she wanted and on one occasion she shaved a huge, thick stripe asymmetrically across the back of my head. I went to a party a few days later and a stranger tapped me on the shoulder and said: “I’m sorry mate, but do you know that there’s a massive bald strip going across the back of your head?” He thought I’d been attacked. I started going to Tommy Guns after that. Shaving someone's initials into your hair - good idea, bad idea? A much more prudent way of showing your love for someone than having a tattoo – so I say it is a good idea. No, but an alarming amount of my girlfriends seem to and get away with it. Rwandans Amasunzu hairstyles show prestige and one’s role in the community – is there anything you wear or do that functions in the same way? No! I do not like loud clothes, or colours and prints that overpower what I might be saying and doing. I think the clothes we wear should dress the brain as well as the body. A pair of 501 twisted Levi jeans and the catalogue to Lynette Yiadom Boakye’s beautiful Serpentine Gallery show, Verses After Dusk. What are you looking forward to about August?